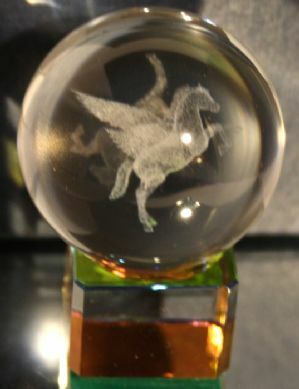 This is a 40mm diameter crystal ball with an intricate design of Pegasus The Winged Horse within the crystal ball. It has it's own crystal stand which is AB treated to give off wonderful colours. The crystal stand has a velveteen base.